McKinnon made his debut for the South Sydney Rabbitohs in 2002 after they were re-admitted back into the competition. After two years at South Sydney McKinnon moved to Parramatta but he would spend most of his time playing lower grade footy with the Eels preferring to go with Luke Burt. 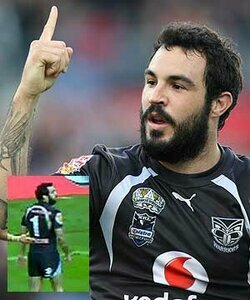 Looking for more game time he signed with the Warriors replacing Brent Webb as first choice fullback. McKinnon's individual try against the Penrith Panthers in Round 15, 2007 was voted as the greatest of the year by NRL.com. 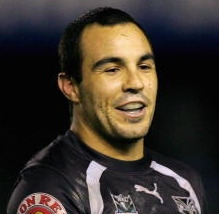 McKinnon was ruled out of most of the 2008 NRL Season after an ACL injury in the Warriors first trial game against the Newcastle Knights left him requiring a knee reconstruction. However McKinnon recovered relatively quickly and he made his return against the Brisbane Broncos in Round 22. He celebrated this game by scoring a try in a 16-12 Warriors win. 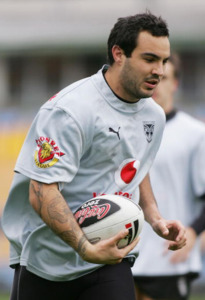 He was released by the Warriors mid-season 2010 due to form and losing pace after his knee injury. Kevin Locke was then used as the fullback. He signed by the Tigers with the Warriors paying his salary for the remainder of the season if the Tigers would pay him out on the last year of his Warriors contract. The only other stipulation was that Wade was not to play against us for the remainder of the 2010 season. Injuries would again see Wade spend large amounts of time on the sideline and he lost his place in the top team for Tim Moltzen. He signed for Hull FC but after 6 months he would leave for personal reasons.